Why use the services of a web design company? Doing it your self seems just like a piece of cake. All you have to do is download some software and it takes only a couple of hours for your website to be ready. The biggest problem that is faced by small businesses in the digital market today is the inability of understanding the significance of a website for their business. 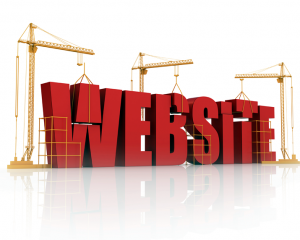 The functionality and look of a website can simply make or break a business. Even though they will be able to save some cash upfront when they do the website designing on their own, but they will lose considerable revenue in return. An individual will immediately form an impression of the website of a business as soon as they visit it. This is based entirely on the layout of the website. This means that the website does the talking, regardless of the products and services you are offering. A professional web designing company will be able to create a unique and creative layout that reflects the business and its personality and can aid customers in identifying the brand and remembering it later on. If web designing is not your field, then you don’t have much knowledge about the technology standards that are being introduced for mobile websites. Mobile is growing day by day and having a website compatible with the latest technology is essential and this is where experts can prove to be immensely beneficial for a business. As a responsive web design is needed, a professional firm like St. Louis web design (Nations PC Solutions) can not only build the website on this technology, but also educate the employees about using it properly. This will make the website future proof and will ensure that the target audience can access it on any platform. Typically, when a business undertakes website designing, they choose a pre-made template, which is quite common and seen everywhere. There is nothing new or impressive about these designs because they are very basic and a business will end up with a boring website. Customers need to get excited when they visit the business’s website. Here again, a professional service will be worth the cost as they will consider the goals of a business when designing their website. Design matters and it is usually the focal point when you wish to achieve powerful branding. In this competitive environment, staying on top of the search engine results is important and experts can get you there by incorporating search engine optimization techniques within the layout, design and functionality of the website. Website design is of the utmost importance and professionals are the way to go for getting the right one.